Native plants are on the comeback trail in Arlington – particularly along the W&OD Trail in Bluemont and Glencarlyn parks. Last month Dominion Energy mowed green space beneath powerlines along the trail, helping the County manage invasive plants like Japanese honeysuckle and multiflora rose. Invasive species often thrive more than many native plants, and displace natives that provide habitats for local wildlife. 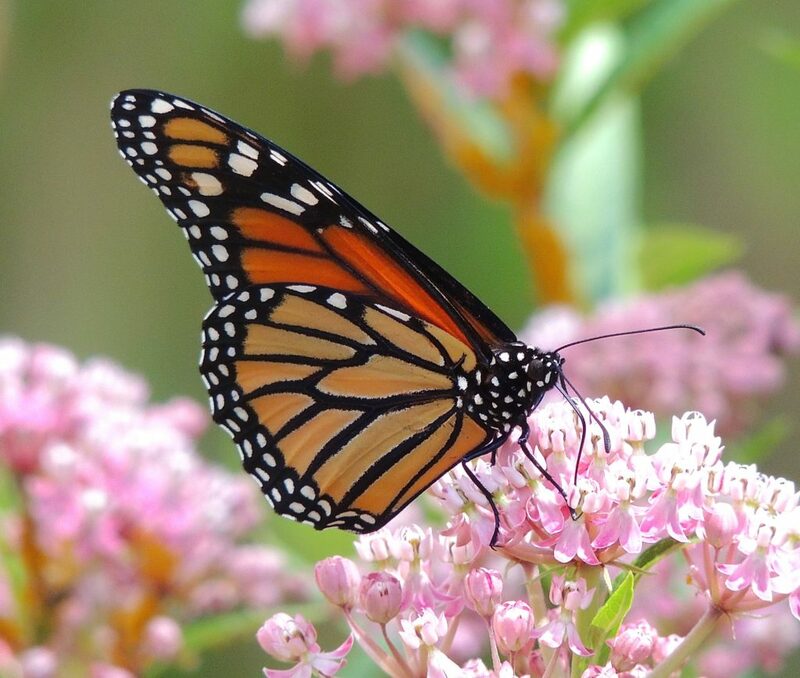 But in the month since the W&OD mowing, Parks and Recreation natural resources specialist Sarah Archer has seen the return of a mix of native species, including common milkweed (essential to the monarch butterfly), dogbane and sensitive fern. As part of its Natural Resources Management Plan, Arlington has worked hard to remove invasive plants and add mostly natives – never invasives – to public spaces. The County also has established a special nursery for natives and sponsors seasonal sales to encourage homeowners in their own plantings. 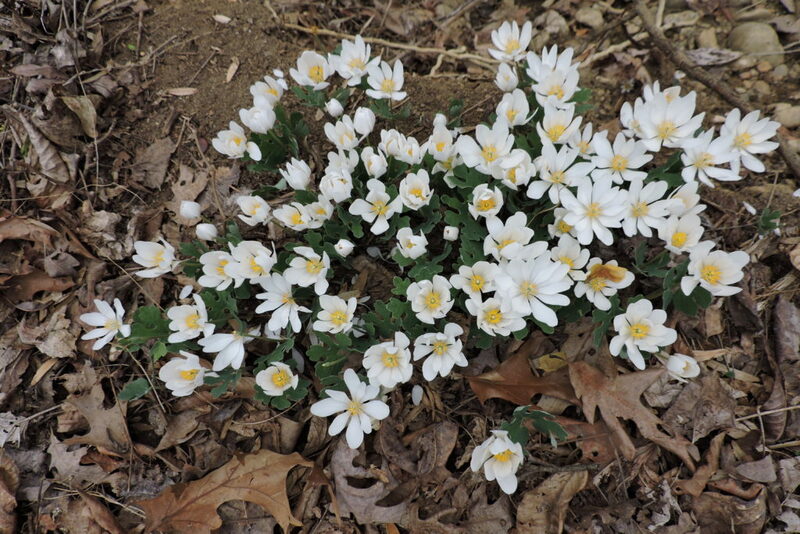 Another recent success is the Magnolia Bog in Barcroft Park. 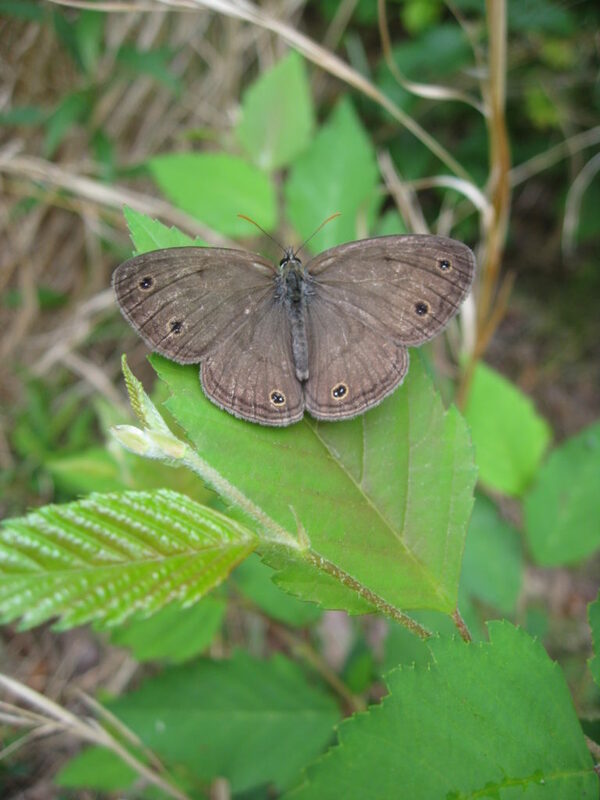 The globally rare mixed habitat had been encased by invasives but thanks to removal efforts by volunteers and staff, the bog now hosts new and increased appearances of the little wood satyr butterfly and the gray fox, along with uncommon-to-Arlington plants like bloodroot and wood anemone. Woodcocks and increasingly rare rusty blackbirds also are back, along with the first documented Arlington visit by a yellow-crowned night-heron. Still, the work of park stewardship is never finished. Archer says the invasive vine porcelainberry has returned along the W&OD Trail “but the infestation level is lower than before the mowing.” In coming weeks, County contractors will take aim at the porcelainberry and other scourges by carefully applying the common herbicide Rodeo, formulated for near-aquatic environments in natural areas. In the ongoing fight against invasives Arlington appears to be on the right trail. Want to help? Volunteers always welcome.